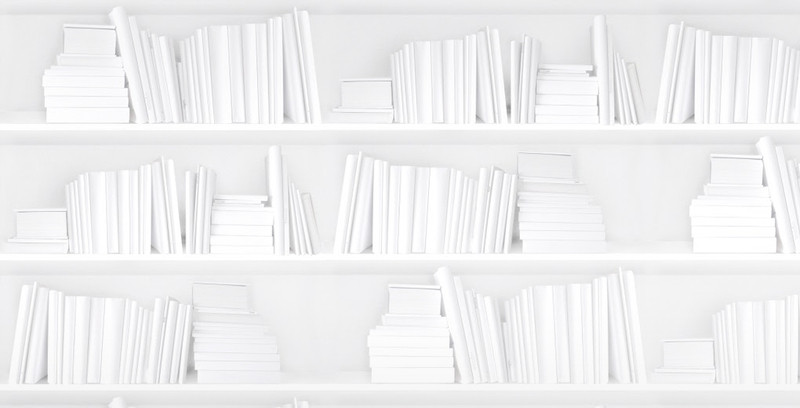 Is That a Kobo in Your Pocket? Yesterday at the Gladstone Hotel in Toronto, Kobo hosted a launch to show off their new devices hitting the shelves in early October. Although the event was somewhat subdued in comparison to Apple or Google launches, the devices that were launched were pretty slick. One of the fun new ones is dubbed the Kobo Mini a 5” screen with e-ink display -just a bit bigger than the Samsung Galaxy S3 I carry around in my pocket every day. It is a compelling size at a compelling price of $80. It has a touch screen (but not touch gestures because we know you don’t want to get sued by Apple) and a bit more control over font settings. I thought of this cute little reader as a kind of utility knife reader—something you can have on you all the time like your phone but without all the noise of your smart phone. It seems like a good step toward other types of e-ink devices, maybe toward a smart paper/Plastic logic like device down the road? The next device that excited me was their new tablet called the Kobo Arc. This looked like a great little tablet the size of the Kindle Fire or the Nexus 7 so not a direct competitor to the full grown adult size tablets out there. Like the Kindle Fire, this tablet is built for consumption. The very cool Tapestries layer that Kobo has built on top of the Android OS (ice cream version) acts like Small Demons—pulling out content and recommending books, movies, music, etc., based on what the user has “pinned” to the tapestry. The tablet also provides full access to Google Play so all the google apps are available, instead of just a limited selection of them. The tablet comes in 8 and 16 GB versions with wifi connectivity, but priced at $200 and $250 respectively, I can live with wifi only connectivity. 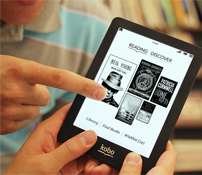 Also getting launched is an improved version of their flagship e-reader that is getting christened the ‘Kobo Glo’, a new 6” e-ink touchscreen device that will come with an adjustable front light. The Kobo Glo, priced at $130, also comes with 2 GB of memory and the option to expand this capacity by using a micro SD card. It is exciting to see Kobo is not letting go of their hardware endeavours. If anything they seem to be getting better at the execution and offerings. It is also nice to be the launch pad for these devices and not an afterthought 2 years down the road. This to me says Kobo still has a Canadian soul if not a Canadian passport. Of course, another e-reader company had an unveiling yesterday, but it wasn’t accessible by TTC so we couldn’t make that one. If you missed the live blogging and want to get caught up on Amazon’s announcement you can start with this piece by DBW. Older PostCode Meet Print TO: The Three Rs!